HPREC staff is available to assist member districts with professional development, technical assistance, and coaching to ensure compliance with state and federal regulations. HPREC staff members are well-versed in the development of program for students with IEPs to ensure academic and behavioral achievement. HPREC provides member districts with access, training, and technical assistance in PowerSchool, a web-based product and customized case management system developed to collect and document student information. 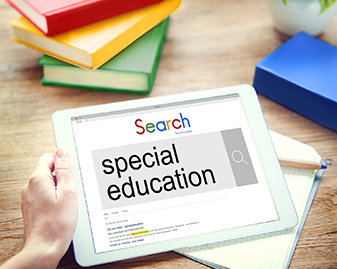 The system allows educators to manage and monitor the special education process, Student Assistance Team activities, Section 504 Plans, Next Step Plans, and other information aligned to NMPED requirements and guidelines. HPREC works with member districts to identify areas of strength and challenges as evidenced by the State Performance Plan Indicator data and develop and implement systematic action plan to address areas of concern. As part of this training and support, HPREC works to ensure quality transition plans for all students with IEPS, as well as ensuring that the districts are meeting the transition State Performance Plan Indicator #13 and developing IEPs that are directly linked to post-secondary goals. High Plains REC is pleased to have Pepper Skodack available to member districts for special education support. Ms. Skodack has extensive experience in special education and leadership. She is available for consultation on any special education related issue. She can assist schools with IEP development, policies, procedures, file reviews, and compliance. She is also available to support special education instructional strategies and classroom teachers. Please contact Marisa Aguirre if you would like to discuss Ms. Skodack’s availability. If the issue is urgent, please call our office at 575-445-7090.